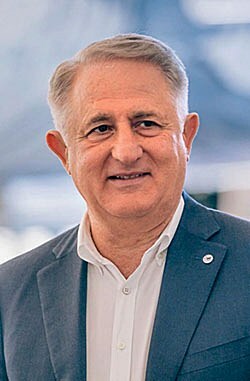 At an October 2018 ceremony – held in celebration of Georgian Airways’ 25th anniversary – the airline’s general director Givi Davitashvili announced the carrier’s near-future fleet renewal plans. Tbilisi-based Georgian Airways (formerly Airzena), privately owned flag carrier of Georgia, currently operates seven passenger jets, of which three are Boeing 737-700s, an equal number of Embraer E190/E195LRs and one Bombardier CRJ200. In this interview, below, Georgian Airways president and owner Tamaz Gaiashvili reveals further details of the expansion plans to Russian Aviation Insider’s sister publication ATO.ru. 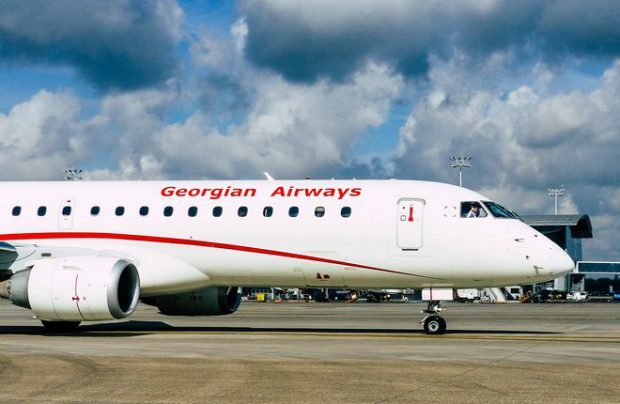 ATO: Mr Gaiashvili, which aircraft are under consideration for Georgian Airways’ fleet renewal plans? TG: We have signed a letter of intent for five Embraer E195-E2s. The deliveries are scheduled to start in late 2019 stretching to the first and second quarters of 2020. We have also signed an [intent] agreement for five Boeing 737MAXs to be delivered in late 2023 and 2024. ATO: Is this intended as a full renewal effort or fleet expansion? ATO: When do you plan to convert the letters of intent into firm contracts? TG: We have passed the first stage of negotiations and are close to signing contracts in both cases. ATO: What do you think about the liberalisation of airspace over Georgia and what effect has it had on the local carriers? TG: I think that the local carriers have definitely been affected by the liberal approach – but not in the best way. This is due to the fact that the authorities are typically not very focused on aviation matters – and therefore may act incorrectly. But such an agreement is not necessarily the final word – it can always be revised and refined to be more beneficial for the country. I think Georgia has now reached the stage [when it is ready] to revise this agreement that was signed back in the day of [Mikhail] Saakashvili (Georgia’s president from in 2004 through 2013). Currently, individual states are starting to regulate their industries, and that’s the right way forward. Self-regulation of the market and its players is impossible in the 21st century. That’s the way of the past.